Cast Aluminium alloy. Gravel rally wheel and snow rally wheel. Speedline's enduring professional aluminium gravel wheel design, durable and attractive. 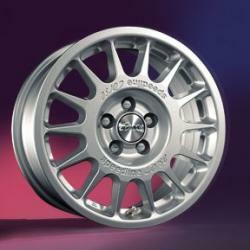 Used by rally teams worldwide, and supplied as original equipment by the many rally car manufacturers.